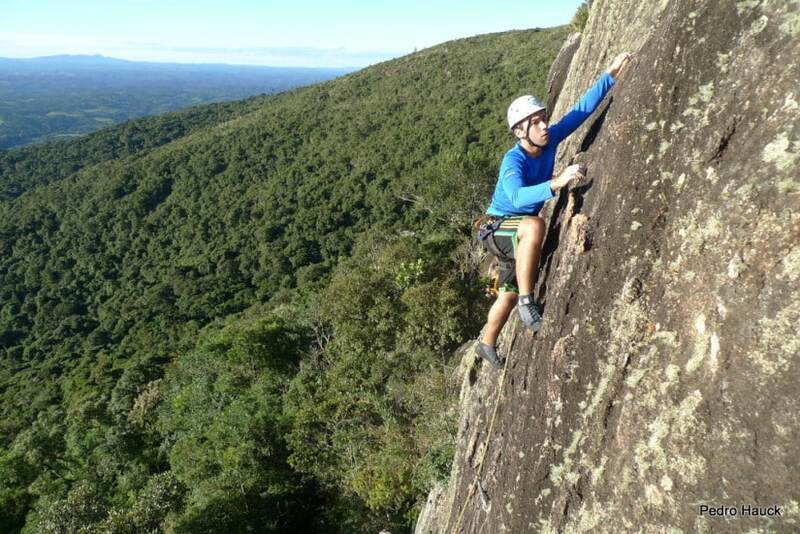 A great rock climbing day in the Morro de Anhangava, Curitiba. 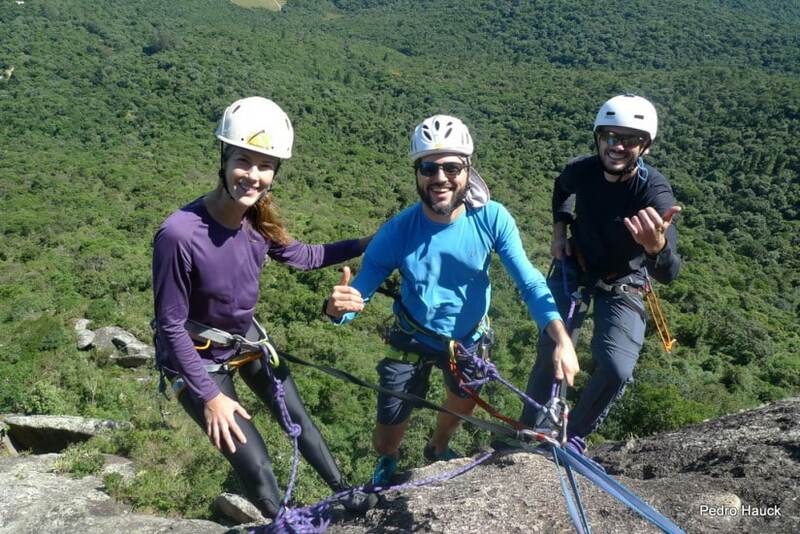 If you have some prior experience in this activity join Pedro, a local mountain guide, and enjoy a really amazing mountain landscape. 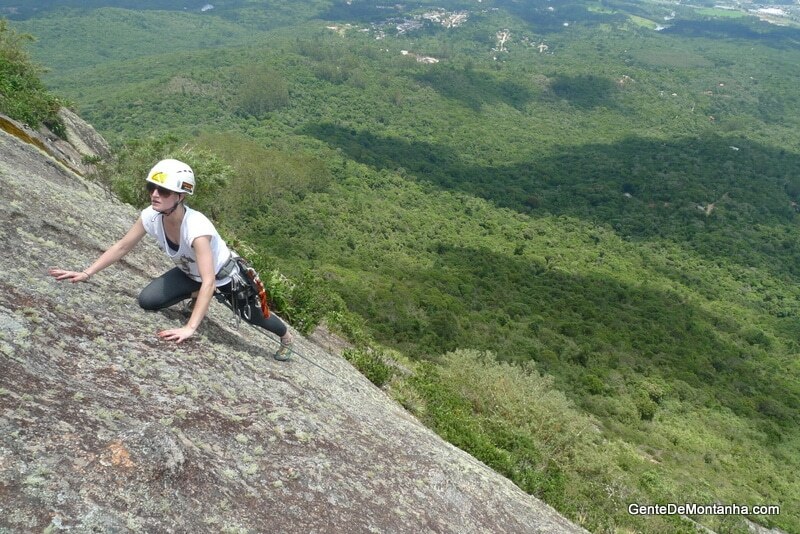 The Morro de Anhangava is a small mountain located in the city of Quatro Barras of Paraná. 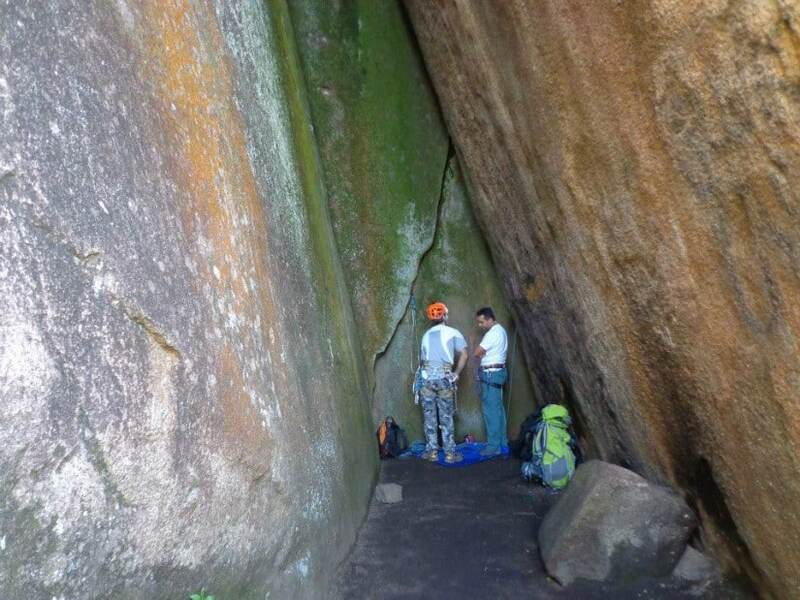 It has around 200 climbing routes. 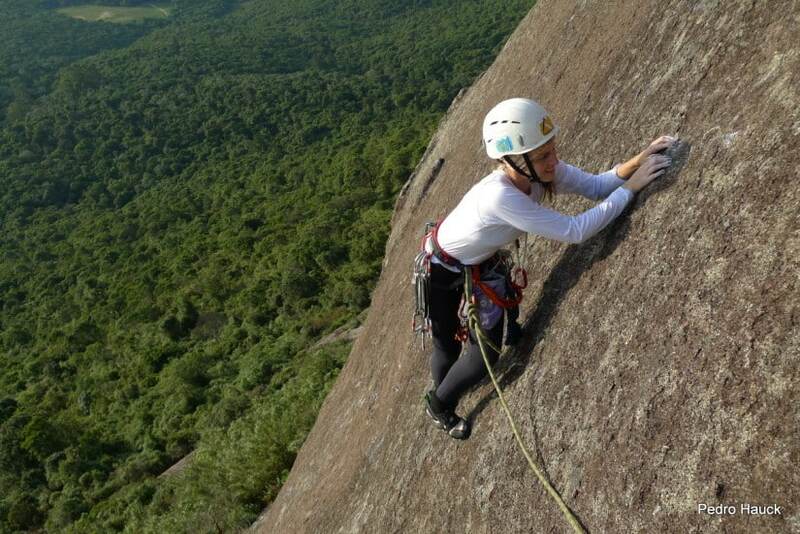 Furthermore, it is one of the most traditional places for the practice of rock climbing in the Curitiba region. 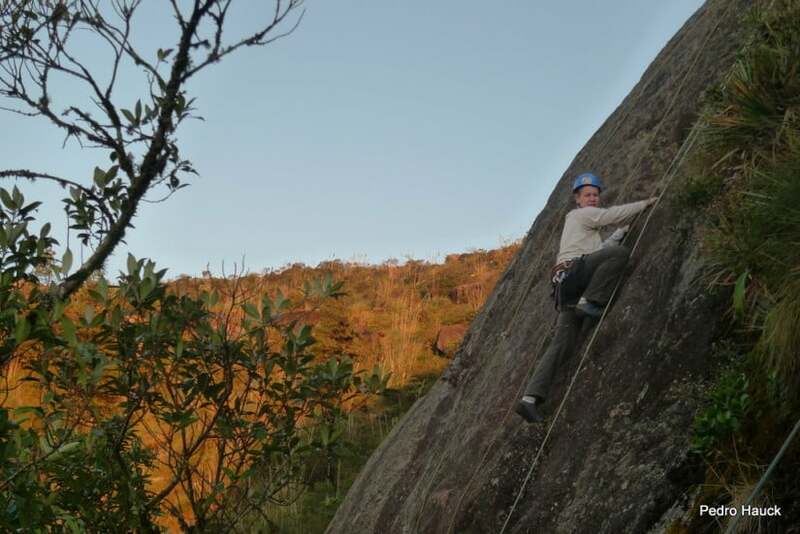 The Anhangava is quite different from other sites of the Sierra Do Mar mountain range, since it offers a wide variety of routes and climbing styles. Here you can practice from shorter and traditional itineraries to longer and more advanced ones. 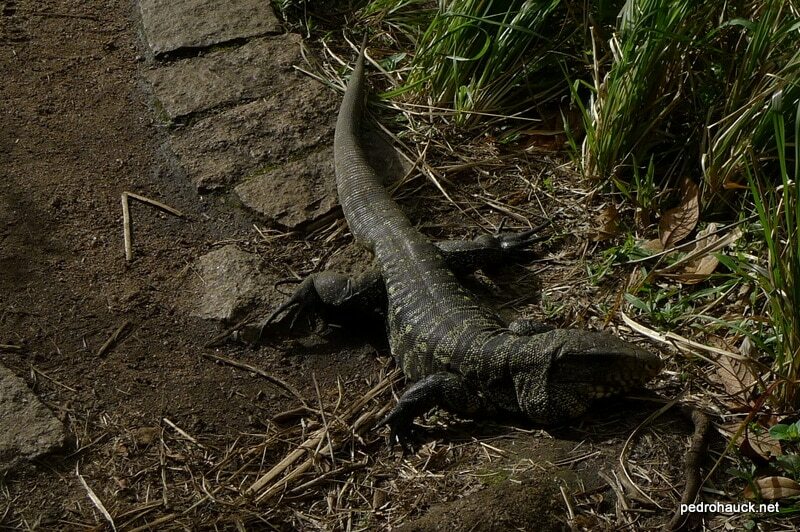 Here we will also find the “School Field of Paraná”. It is a place of pure nature and amazing views. 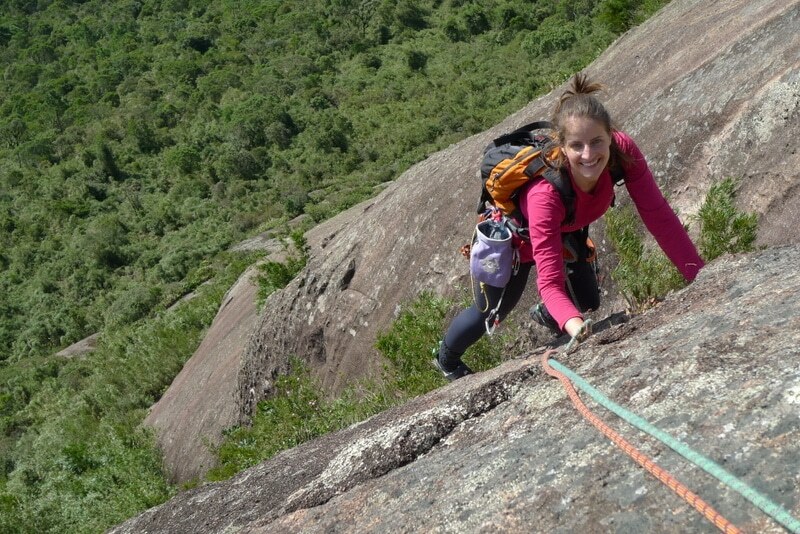 There are really few places in Brazil where you can climb in a mountainous environment like this. 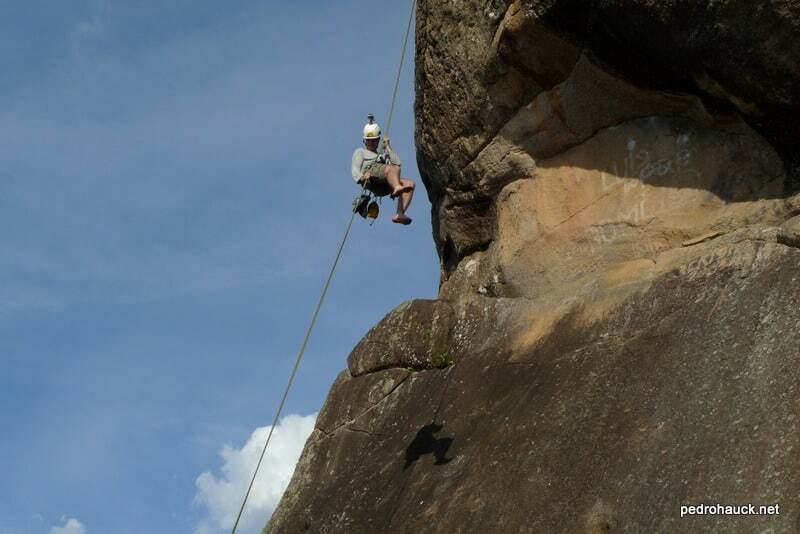 This rock climbing day in Anhangava I am offering is suitable for people who have already taken a previous course. 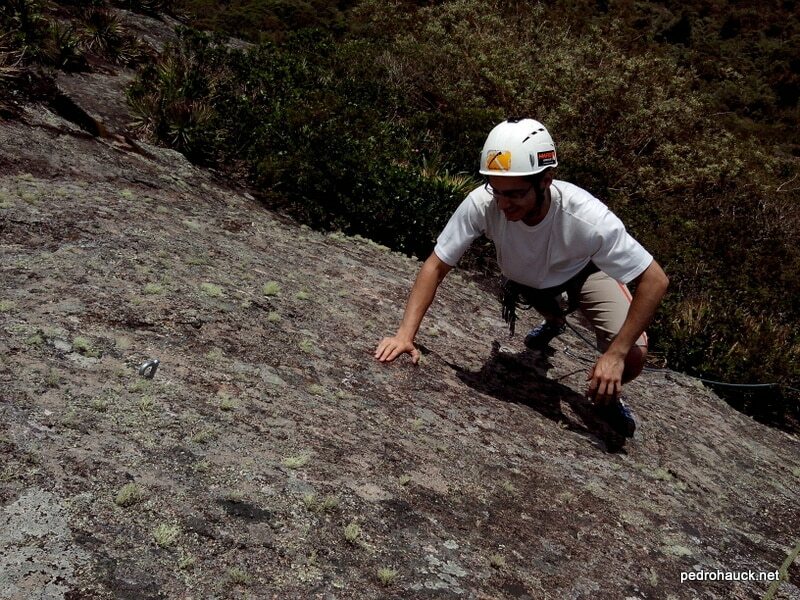 However, there are also easier routes where beginners can review their skills and practice on different surfaces. 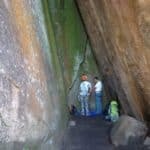 If you have some previous experience you will be able to climb on longer pitches. 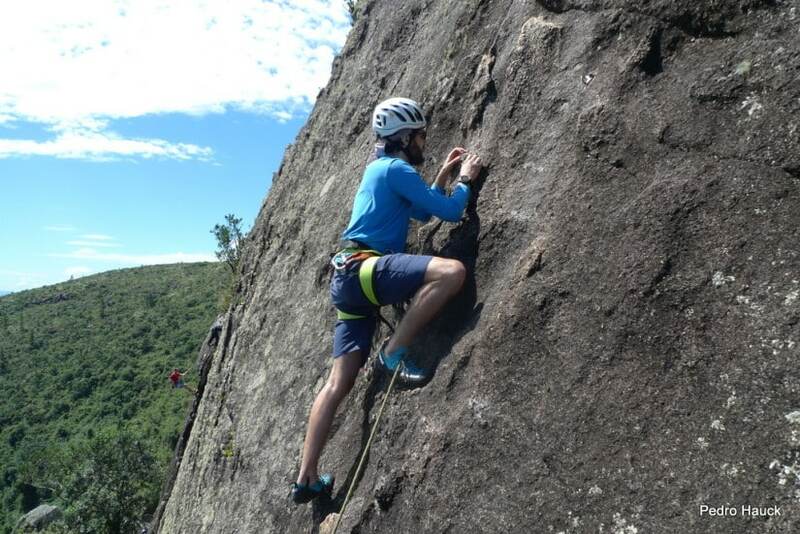 And if you have never climbed before it is necessary to do a previous course, such as this 4-day course in Curitiba that I am also leading. 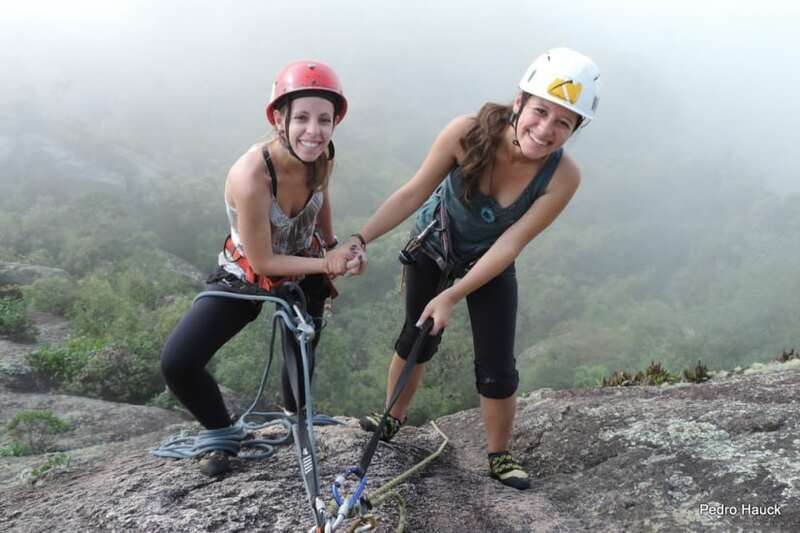 I have no doubts that this outdoor experience at Morro de Anhangava will be unforgettable. 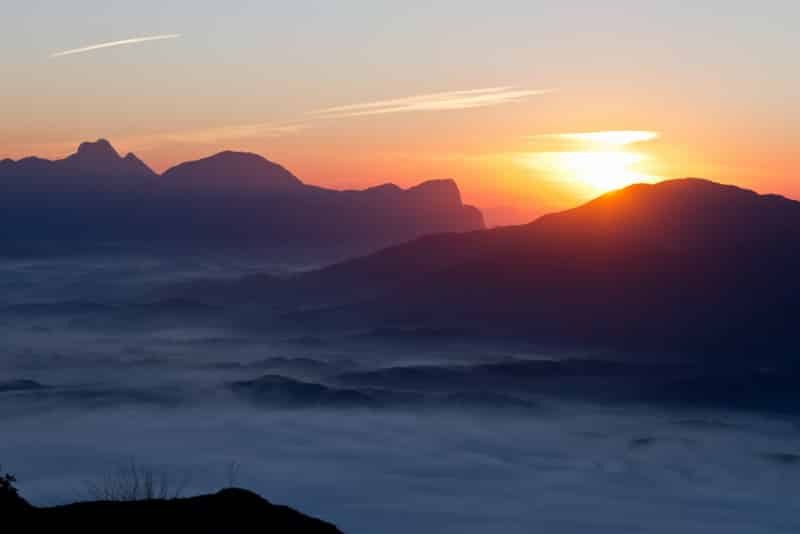 In addition to the big amount of climbing routes, you will enjoy a beautiful sunset to the end. The recommended season for this trip is from June to August. So, are you coming? 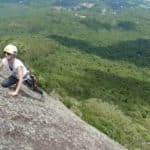 Fill out the form and get in touch with me so we can plan you next rock climbing adventure in Anhangava! 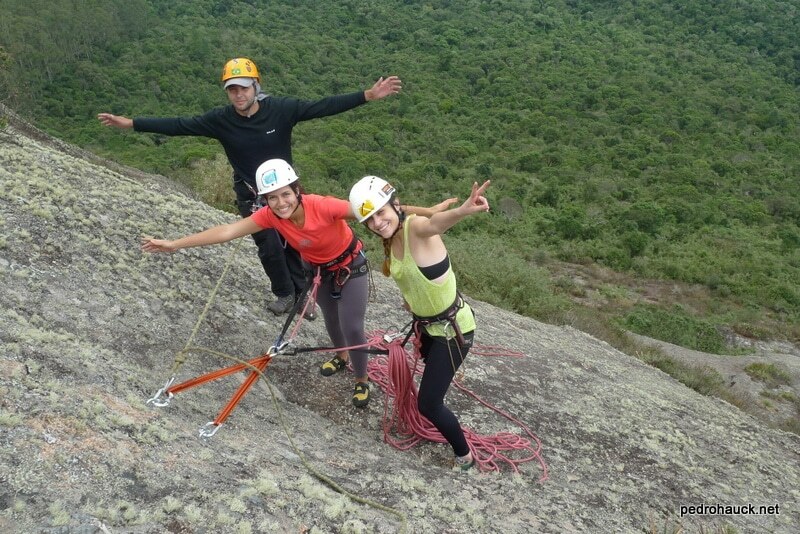 We will meet in a previously arranged place in Curitiba and drive to Anhangava. 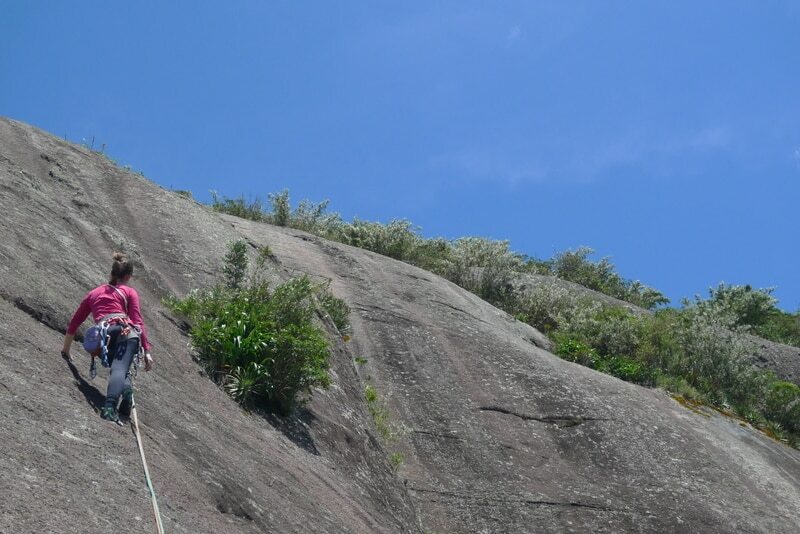 I’ve been into mountaineering for the last 17 years. 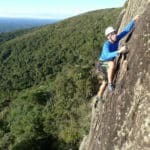 I guide each year climbers to the top peaks and climbing destinations in Central and South East Brazil, and also teach rock climbing courses. Besides, I’m a geographer and have a Ph.D in Geology. 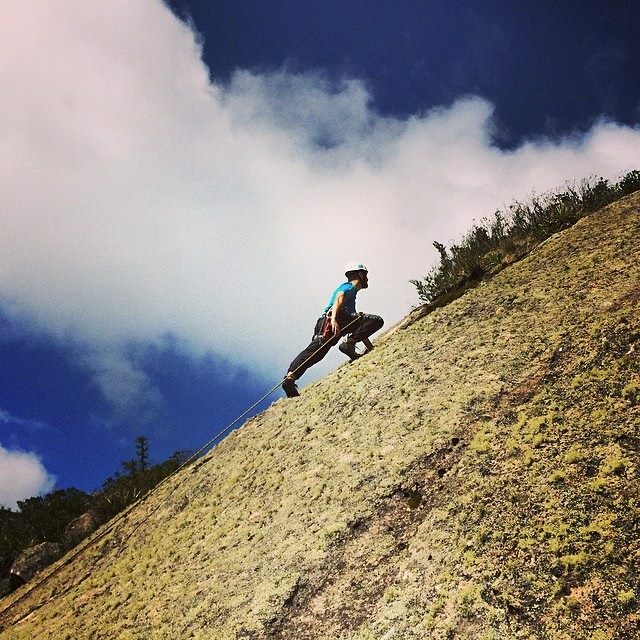 As a climber, I reached 39 +6000m peaks in the Andes! 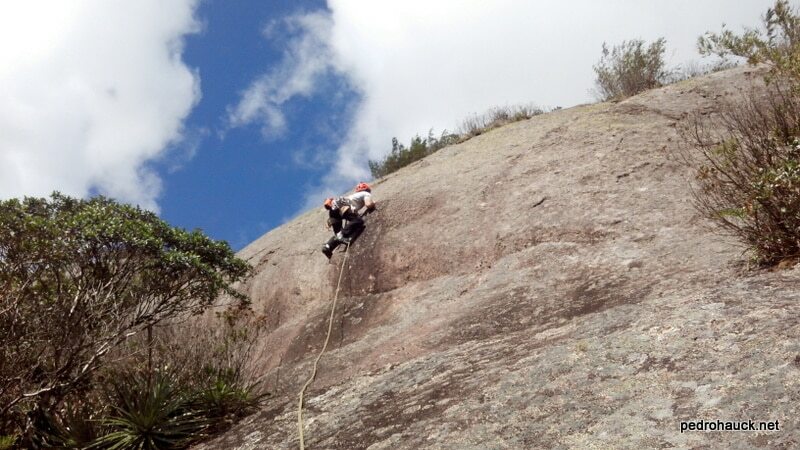 I love to lead expeditions in which I take special care of the safety, and of giving useful information to the clients. 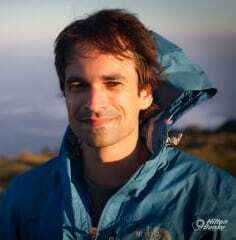 Is it about mountaineering, geology or geography, I love to teach! 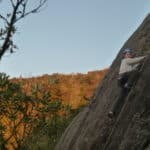 I’ve been a volunteer in many Brazilian mountaineering organizations, and I directed for some years de Brazilian Mountaineering Confederation, fighting for the free access to climbing areas that were about to be prohibited. 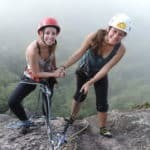 So I’ll love to guide anyone who is interested in discovering mountaineering in Brazil!